OnePlus 6T is scheduled to officially launch on October 29 at a launch event in New York. The original launch date for OnePlus 6T was October 30 which got preponed to one day earlier thanks to Apple launch event on the same day. Today, we have an additional information which reveals the date of sale for the new flagship device in India from the Amazon store. One of the contests running on Amazon reveals that OnePlus 6T will go on sale for the first time on November 2nd, 2018. 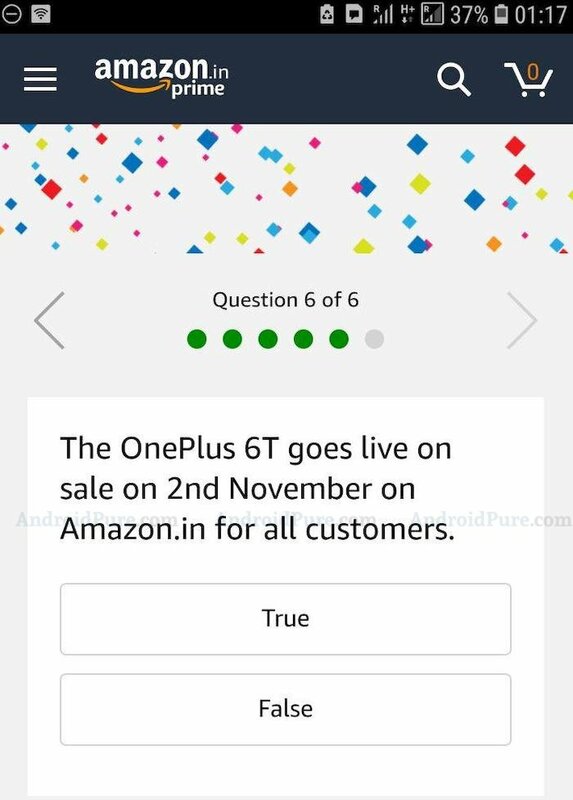 It indicates that OnePlus 6T goes live on sale on 2nd November on Amazon.in for all customers (Prime and non-prime customers).